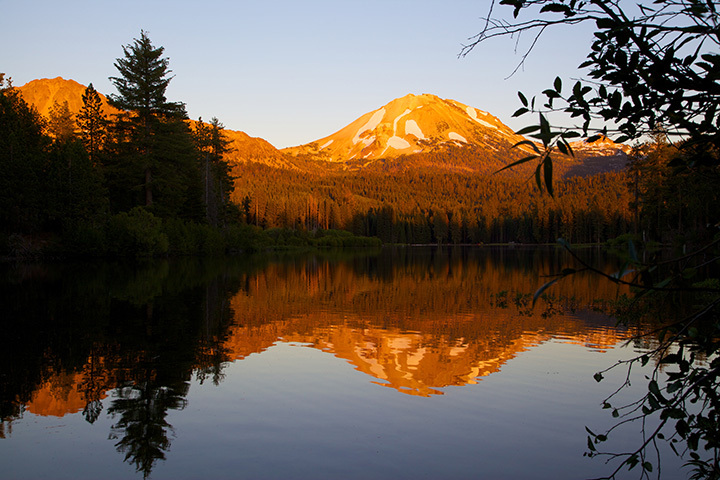 Lassen Peak has remained “quiet” since 1921; however, it is still considered an active volcano. Located at the southern end of the Cascade Mountain Range in Northern California, Lassen is one of many other famous volcanic peaks which include Mt. Rainier, Mt. St. Helens, Mt. Shasta and Mt. Hood. hydrothermal area in the park is known as Bumpass Hell – a 16- acre area of “hellish” terrain. When to go: The park is open all year. Winter weather frequently shuts down roads inside the park. When we visited the park on July 12, 2010, we learned the summit of the Main Park Road didn’t open until July 8th! What to do: The 30-mile Lassen Volcanic National Park Highway provides visitors an excellent introduction to the key features of the park. This auto-tour will expose you to Sulphur Works, Bumpass Hell Overlook, Lassen Peak Viewpoint and more. Hiking: Lassen features over 150 miles of hiking trails for trekkers of all abilities. One of the most popular hikes is trekking to the top of the world’s largest plug dome volcano via the 2.5-mile Lassen Peak Trail. 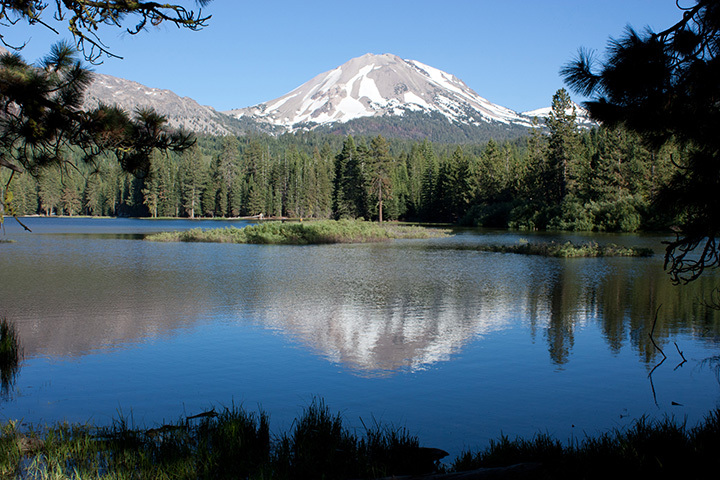 For another worthwhile and less strenuous hike, take in the awesome reflective view of the Lassen Peak and Chaos Crags while trekking about the 1.8-mile Manzanita Lake Loop Trail. Lassen receives over 30 feet of snow each winter making it an ideal place for family snow play, snowshoeing or cross-country skiing. The roads are plowed in the winter to the southwest parking area and the Loomis Museum in the north. Where to stay: Drakesbad Guest Ranch in Warner Valley is the only lodging within the park. Availability is limited and reservations are recommended. Most visitors choose to camp in one of Lassen’s 400 campsites found in eight campgrounds, which range from primitive to fully developed. Trivia: The Main Park Road was built just 10 years after Lassen Peak erupted. At its summit (8512’), the thoroughfare is the highest road in the Cascade Mountains and has been known to accumulate up to 40 feet of snow near Lake Helen.